mineral property, mining rights, and their subsequent development. ended were prepared assuming that the Company would continue as a going concern. Gold Mining"), as a wholly owned subsidiary, both in the State of Delaware. and owns assets and shares of operating companies in Armenia. properties in North Central Armenia, all proximate to Hankavan. and seven surrounding exploration sites. license area in the northeast Geghargunik province of Armenia. qualified to do business in the Canadian Province of Newfoundland and Labrador. or less when purchased and are carried at fair value. value because of the short-term nature of such instruments. Armenia. The unprocessed ore is stated at the lower of cost or market. accordance with SFAS No. 115. These securities are carried at fair market value. entitled to keep and apply against its credit. expense for stock-based compensation is a non-cash expense item. Financial Accounting Standards No. 109, Accounting for Income Taxes ("SFAS No. rates that will be in effect when these differences reverse. if it is later determined that the property can economically be developed. and to constructing new facilities are capitalized until operations commence. (SFAS) No. 144, "Accounting for Impairment or Disposal of Long-Lived Assets." Foreign Currency Translation - The assets and liabilities of non-U.S.
subsidiaries are translated into U.S. Dollars at period end exchange rates. segment are evaluated together for purposes of estimating future cash flows. any losses in such accounts through June 30, 2007. 2005, we adopted SFAS No. 143 "Accounting for Asset Retirement Obligations,"
estimate underlying the obligation will be made. regulations. Accordingly, no such costs were accrued at December 31, 2006. New Accounting Standards - In June 2006, the FASB issued FASB Interpretation No. upon external examination. If the tax position is deemed "more-likely-than-not"
In September 2006, the FASB issued SFAS No. 157, "Fair Value Measurements"
the impact will be material. expect the impact will be material. Financial Assets and Financial Liabilities-including an amendment of FAS 115"
statements. We do not expect the impact will be material. to the Global Gold Corporation 2006 Stock Incentive Plan. 10,000 shares of common stock at $0.86 per share for a total value of $8,600. payable and accrued expenses as of December 31, 2006.
director's fee at the fair market value of $.86 per share. with respect to his employment as the Controller effective June 1, 2007.
the term of the Employment Agreement. transaction involved the exercise of options originally issued on June 30, 2002.
per share in accordance with the options. 2006 was $609,610 and $359,945, respectively. 2007 and June 30, 2006 was $493,386 and $337,113, respectively. stock as security for his obligations thereunder. Uranium, in its own name, successfully staked the same licenses in June 2007. 1. Cash payments of US $700,000 over four year period. Commander and Bayswater over a four year period. 3. Property expenditures over four year period of C$3.5 million. project will be funded pro-rata by parties according to their retained interest. below 10%, that party's interest will convert to a royalty. the case of a uranium deposit or a 2% NSR in the case of a non-uranium deposit. stock, 75,000 shares each to Commander and Bayswater. and did not issue an extension or amendment of their terms. awards from the Company, a total of 22,500 shares previously granted to Mr.
Pastorino did not vest and have reverted back to the Company. of 1934 shall apply to any forward looking information in this Form 10-QSB. increased depreciation expense of $192,037. $2,686,842 consisted of cash or cash equivalents. (c) Pursue additional financing through private placements and joint ventures. is now developing those properties. Minister of the Ministry of Environment and Natural Resources, Vartan Ayvazyan. January 29, 2007. Damages will be determined during the arbitration proceedings. and will oppose any attempt to terminate this license. would receive $8,933,332 in gross proceeds. available on reasonable terms, or at all. such securities in reliance upon Section 4(2) of the Act. reliance upon Section 4(2) of the Act. Company, a total of 150,000 shares and 100,000 options previously granted to Mr.
Mason did not vest and have reverted back to the Company. were  re-elected:  Messrs.  Drury J. Gallagher,  Van Z.  Krikorian,  Nicholas J.
as the Company's outside auditor. Exhibit 10.2    Labrador Uranium Claims Agreement, dated January 18, 2007.
and between Global Gold Corporation and Hrayr Agnerian. 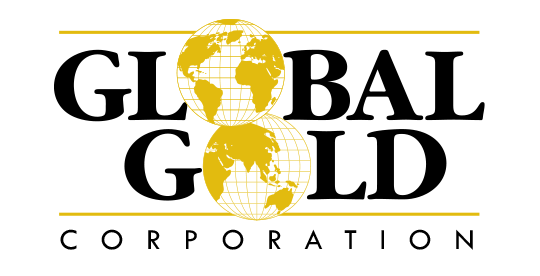 between Global Gold Corporation and Jan Dulman. between Global Gold Corporation and Lester Caesar. report on Form 8-K filed with the SEC on June 20, 2007.
report on Form 8-K filed with the SEC on January 24, 2007.
report on Form 8-K filed with the SEC on April 16, 2007.
as of January 1, 2007 (the "Agreement"). is amended to replace the term "33 1/3%" in the first sentence. vesting on December 31, 2008.
provision  of the  Agreement  except as required by terms agreed here. be assigned to him from time to time. services do not constitute more than 20% of his available business time. Agreement,  payable in equal monthly installments on the 15th day of each month. with the terms and conditions above. accordance with the Company's plan. faith on the Company's behalf. extent not taken by the Employee during a given year. adjudication of the termination of his employment hereunder. compensation payable by the Company under this Section 7(c). plus the life insurance benefits provided to the Employee, if any. (f)   Continued   Maintenance   of   Benefit   Plans  in   Certain   Cases. any substitute benefits for the Employee. secrets, products, designs, customers or methods of distribution. remedies available to the Company at law or in equity. to vest on July 31, 2007 shall vest according to the previously agreed terms. with the written consent of all parties hereto. the neuter gender shall include the masculine, feminine and neuter. signed a single signature page. 75,000, 112,500 and 150,000 of the Shares granted hereunder, respectively. future sale of other disposition of them. to employ or retain you under such a contract or otherwise. physician selected by the Board of Directors of the Corporation. Employment Agreement, the provisions contained in this Agreement shall control. sign the enclosed copy of this letter at the bottom and return it to us. specified or as may be assigned to him from time to time. do not constitute more than 80% of his available business time. any year thereafter or (c) sooner terminated as otherwise provided herein. installments of $ 2,500 on the 15th day of each month. in Section 3(a) and (b) shall be reduced. subsequent breach or condition of a like or different nature. signers had signed a single signature page. of the Shares granted hereunder, respectively. materially affect, the registrant's internal control over financial reporting.